RAPID CITY, S.D. – The search for a missing nine-year-old girl will resume today. Search and rescue workers were unable to be out in the vicinity where Serenity Dennard disappeared six days ago, due to dangerously cold weather conditions. The area being searched continues to be around the Black Hills Children’s Home near Rockerville where the child had been housed. 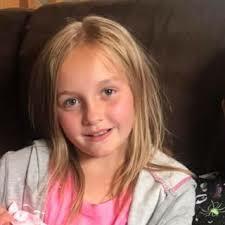 The Pennington County Sheriff's Office, along with other organizations, have been searching for the girl since she ran away from the Black Hills Children's Home last Sunday morning. The Black Hills Children's Home is a branch of the Children's Home Society that offers a residential treatment program for children who have experienced abuse or trauma, or have behavioral issues. According to reports, Serenity ran away from the facility's gym, while staff were distracted by another child who ran away. While one staff member ran after the other child, another stayed with the remaining two children. That was around 10:45 Sunday morning. She was last seen near the home around 11:20. An hour later the Pennington County's Sheriff's Office was called. They posted an alert on Facebook just before 5:00pm Sunday. An endangered missing advisory was issued on Monday as 65 people and four dogs looked for Serenity. By Tuesday, more than more than 100 people were involved in the search. Deputies talked with people living in the area and looked for places where the 9-year-old could take shelter. Search and Rescue Team Leader Tammy Stadel said that seven dog teams -- typically one dog and one handler -- are coming in from an Iowa location to join the search on Saturday. The area has been searched earlier by trained rescue dogs and locating technology such as GPS and thermal imaging. According to Stadel, the teams will go over areas previously searched. She said the specialized training and experience of the dogs and handlers may give searchers a better chance of locating the missing child in what is now being considered a recovery search. Officials do not expect the girl to have survived the below zero temperatures recorded over the past several days. Search and rescue organizations continue to ask the public to contact them if they have any information on the girl. The number for the Pennington County Sheriff’s office is 605-394-6115.